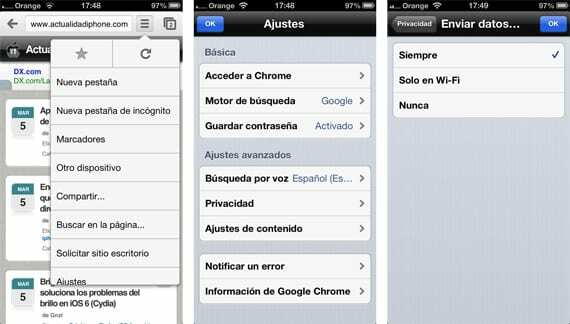 On the day of yesterday was upgraded to iOS Chrome , Google's browser that can be enjoyed on the iPhone, iPad and iPod Touch. As sometimes it happens, the new version brought a significant hidden bug that causes an unexpected application without the user to do anything. Enter the main menu found at the top marked under an icon with three horizontal lines. Hopefully Google Chrome launch an update as soon as possible. We will inform you as soon as officially solve this problem. Article Solution Chrome error after the last update was originally published in News iPhone .